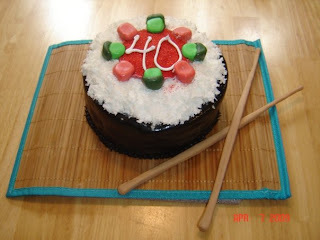 This is a cake I made for a friend's 40th birthday. The rice is made of coconut and buttercream icing. You can order this cake for $45. I can also do variations on this cake.